It doesn’t get better than this. Well actually it does, if you go for the big meaty frog legs in the extensive hot section. 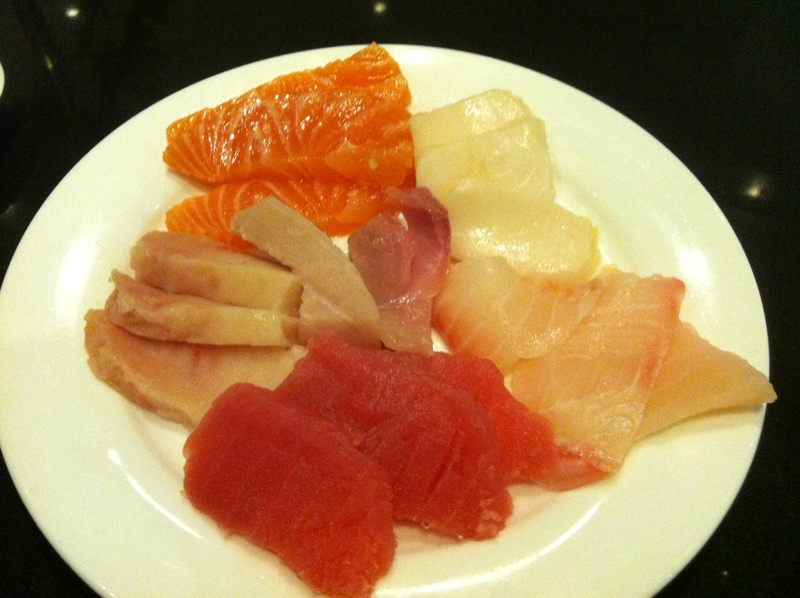 Either way, how can you possibly beat plate, after plate, after plate of all-you-can-eat sashimi, among all else no less, at Hokkaido Seafood Buffet in San Mateo? Go ahead and try, but anywhere else you’ll surely spend far more than the going dinner rate of $20! That’s right. Stuff yourself silly with succulent raw fish, for less than the cost of gas to get there. One delicious deal it is, hands down! Good thing I don’t live next door.